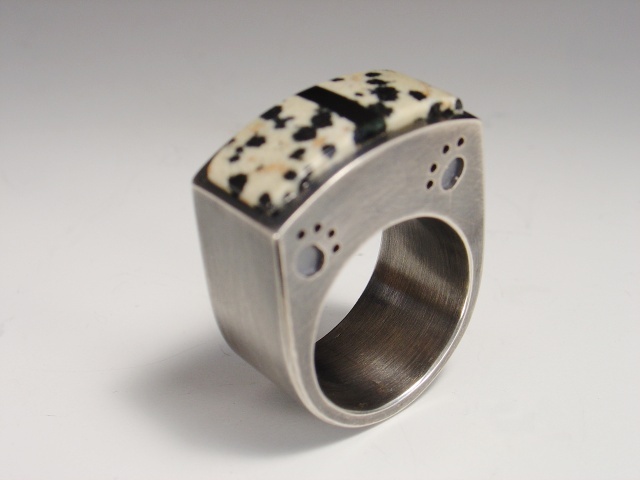 This chunky oxidized sterling box ring is hand fabricated with 4 pawprint overlay designs (two on either side). The ring is 1 1/4" high, 1" across and 1/2" wide. The stones are inlayed dalmation jasper and black jade. Perfect for your favorite fire fighter or dog lover!